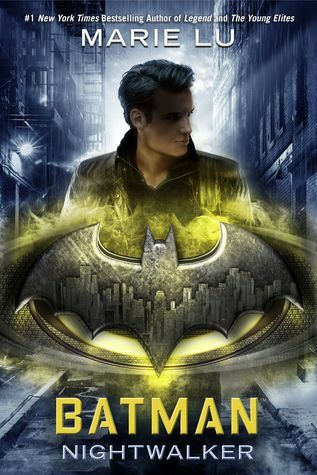 Batman: Nightwalker is by Marie Lu and is the second book of the DC icons series. 1. I promise I am trying to catch up in my reviews. This is the second book of DC icons series. Lu takes Bruce Wayne before he ever becomes The Batman. She images his introduction to crime fighting in this book. I love that there are many characters that we have met through the various Batman series that are seen in this book, even if it is not the way we know them in the series. 2. In this book, Lu proves that Bruce has had a thing for the bad-girls from a young age. His crush on Madeleine Wallace, one learns, is the first in a long line of bad girls that any fan of Batman knows. It is interesting to see him shaping his moral compass and drawing lines about which to cross and which to not at his age. Lu definitely does a great job of showing the Batman that will Bruce will become. 3. Speaking of Madeleine, she is an intriguing character. A definite bad girls as she is locked in Arkham for her crimes at a young age. She is a girl with many secrets, and in a way like Bruce, with her own strange moral compass. 4. There is an interesting story line about the lines between the classes in Gotham and the hypocrites that make them. I liked the story line and the characters, but I enjoyed first DC icons book, Wonderwoman: Warbringer by Leigh Bardugo a little more.